Title: 'Surrey by Rob Morden'. 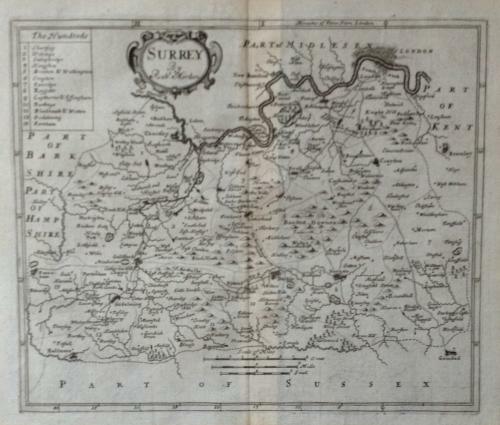 A small but very elegant map of the county that shows roads and major places of interest. In very good condition with very minor toning.